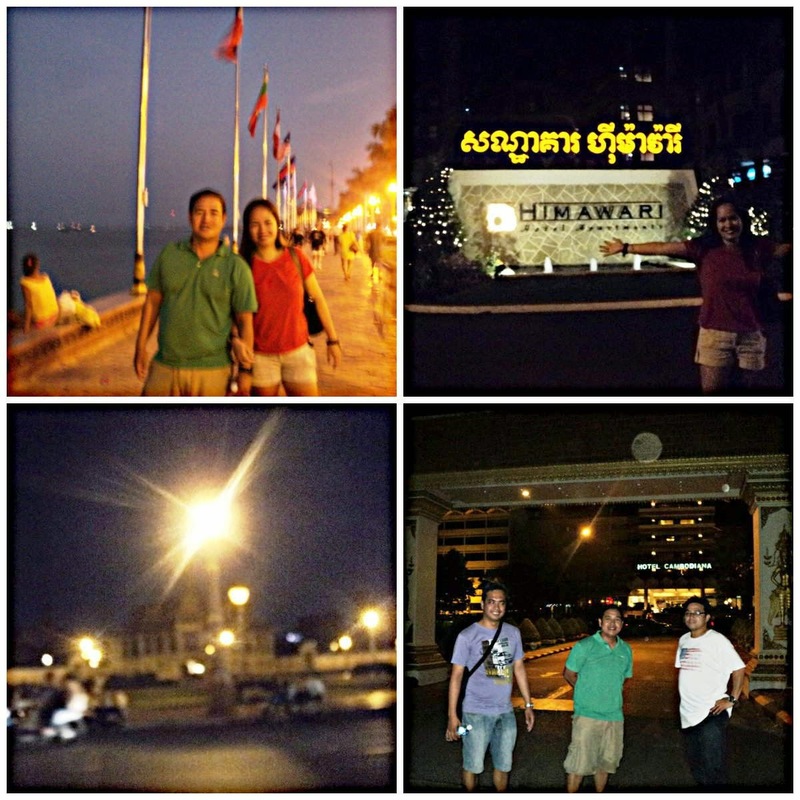 Phnom Penh Night Tour | To Be, To Be. Tutubi. We arrived late in Phnom Penh because the bus was too slow. We expected to be at the city at around 3pm and still have time to visit the Royale Palace. Unfortunately, it was closed when we arrived and so we were only able to view it from our hotel room. So after freshening up a little, we went out to tour the rest of the city. First stop was the baywalk. Imagine Roxas Blvd by night, just more lighted and that is their baywalk. There were peddlers and vendors and street performers and tourists like us. Then we started walking towards the Independence Monument. Yep, we walked because I misjudged the distance! I keep on telling my friends its just there and by the time we realized we have walked a long way, we were already near the monument! 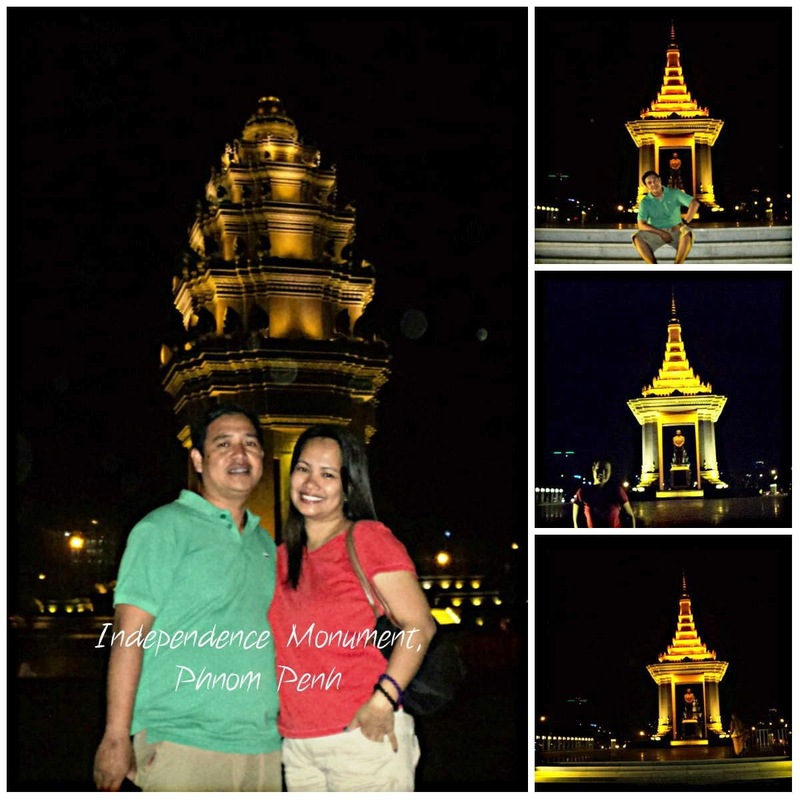 The Independence Monument is a lotus-shaped stupa built in 1958. It shone like gold when lighted at night and was reddish in color during the day. It marks their independence from the French and as a memorial to those who died in battle. Behind the monument is a statue of Norodom Sihanouk. Of course, my friends did not agree to walk balk to the baywalk so we hired a tuktuk for all of us and just paid $3 to take us to the Night Market. Unfortunately, it was closed when we get there so we walked back along the River Quay to look for a place to eat. 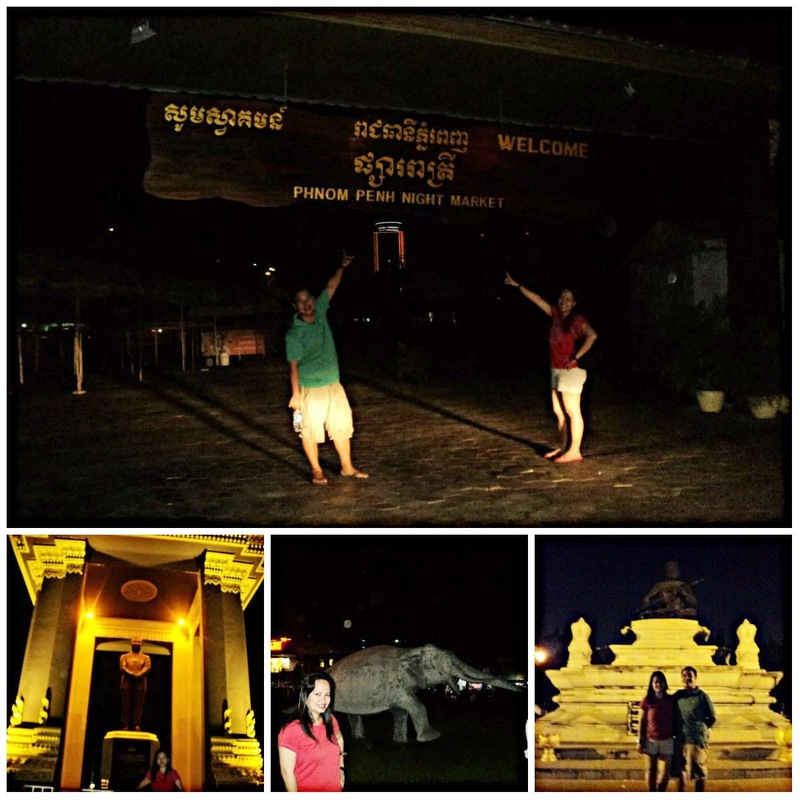 Phnom Penh is the capital of Cambodia and there were many tourists of all nationalities in the city. There are lots of bar and restaurants along the Quay area and it was safe walking in there even late at night. There were also convenience stores for late night snacks and beverage. Unlike Siam Reap, Phnom Penh look like a city that sleeps late. Next post: Dinner at Karma.